Do you have the itch to move to Thailand? Do you want to escape the drab cubicles of the corporate world for a more adventurous life in the Land of Smiles? Then you should consider teaching English in Thailand. But before you jump in, there’s one thing you need to think about: a TEFL. A TEFL certificate lets you teach English to non-native English speakers. But not all TEFLs are the same. In fact, there are only two TEFL academies in Bangkok that are backed by Thailand’s Ministry of Education. Before I tell you about the TEFL academy I recommend you join, let me tell you why having the right TEFL is so important. When I came to Thailand I had a 100-hour online TEFL. I paid $400 for the course, only to find out it held absolutely no weight in Thailand. I was able to find teaching work, but the jobs were the lowest paying in Bangkok—no one else wanted them. I knew I had to get a legit TEFL in order to thrive as a teacher in Bangkok. That’s when a friend of mine recommended a TEFL academy that would change the course of my life in Thailand. What’s the name of the school, you ask? With Text & Talk TEFL Academy’s Flexitime TEFL Course, you study for part of your TEFL course at home, at your own time, convenience and pace. For three weeks, you study at the Text & Talk TEFL Academy in Bangkok (Courses are held every month). You can register for the course and start your home-study segment immediately on receipt of your deposit and you may postpone the Bangkok segment by up to 6 months. If you have at least a bachelor’s degree in any field, Text & Talk TEFL Academy and the employer school will help you get a Work Visa and Work Permit, so you can work in Thailand legally for as long as you’d like. 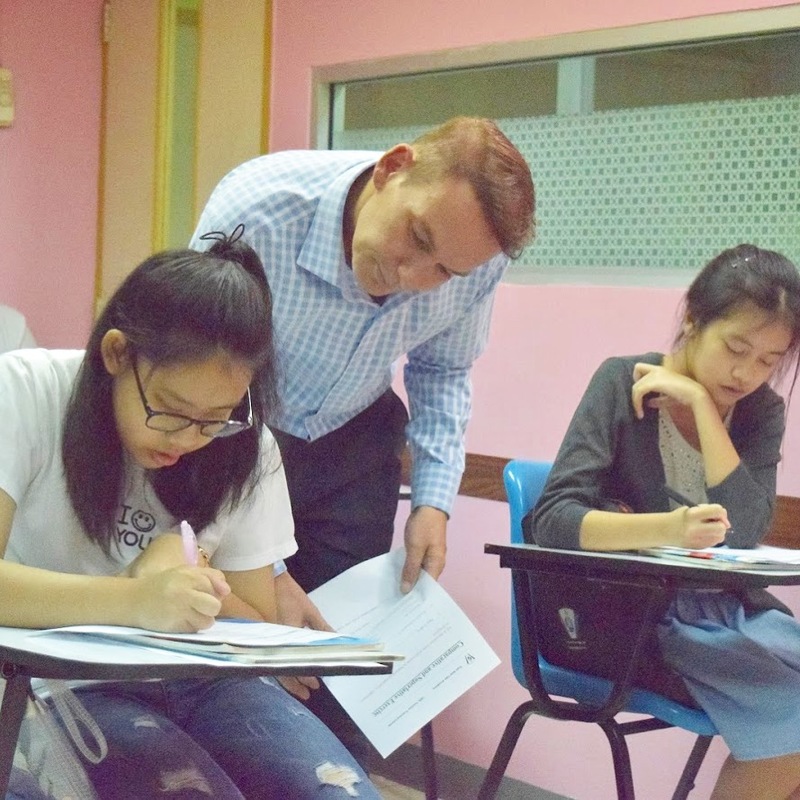 Teaching is one of the most rewarding jobs for foreigners in Thailand. No degree? No problem. If you don’t have a degree but would like to work in Thailand legally, through Text & Talk TEFL Academy’s Further Education program, you can enroll in a leading institute in Bangkok, which offers bachelor’s and master’s degrees in education and an official teacher’s license program. To find out when Text & Talk TEFL Academy is holding their next TEFL course, or to enroll in one of their future courses, fill in the form below and Charles from Text & Talk TEFL Academy will get back to you. to joined the continue education for a bachelor degree in order to teach in Thailand, how long is the period gonna be for this and the fees ?